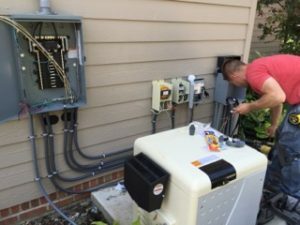 At Residential Electric, Heating, Cooling & Insulation, we take pride in matching our clients with the best Bloomington pool and hot tub contractors available. Our trained professionals know how to get the job done efficiently and correctly. With the prices of pools and hot tubs running into the tens of thousands of dollars, this is an opportune time for a refresher about how to find a respected and trusted Bloomington pool and hot tub contractor. As with any industry, there are true professionals and craftsmen who are ethical, and there are the rest. The latter leave Bloomington homeowners with shoddy or incomplete work, empty wallets, and anguish. Issues often stem from customer service problems and the failure to complete work or honor warranties. A pool and hot tub contractor can handle a number of jobs, activities, and problems. The list below summarizes common swimming pool installation and repair services. Follow the appropriate links below to learn more about cost, options, and quality requirements. Having a custom swimming pool created is a big deal for you. It should be such for the pool contractor too. Look for pool and hot tub contractors who offer a step-by-step process that puts you, the client, first. The process should begin with a consultation to help the contractor determine your exact wishes and needs, and should also include a design phase before the project moves toward construction. When custom pools are under consideration, a good contractor will provide clients with visual representations of the final design as well. It is imperative for you to review the design and make sure it meets your needs and wishes before giving the go-ahead to the pool and hot tub contractor. It is important at the beginning and end of the season to have your pool or hot tub opened and closed properly. Leave it to the professionals at Residential Electric, Heating, Cooling & Insulation to do all the hard work for you. Call us today for an estimate! The next time you need a pool and hot tub contractor in Bloomington, call Residential Electric, Heating, Cooling & Insulation. Our seasoned professionals are available to you whenever you need them. Don’t hesitate, contact us today at 309-829-4230.